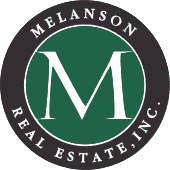 Real Estate for Sale in Ossipee NH | Melanson Real Estate, Inc.
Ossipee, county seat for Carroll County is made up of many small villages scattered among the hills. It's home to Pine, Beech, Bearcamp, Ossipee and Lovell River and Ossipee Lake. Stop by the Historical Society Museum and take a walking tour of the Historic Center. Every year on the 4th of July, Old Home Week is celebrated throughout town. Whether you are looking for a year round lakeside home or a seasonal cottage, let us help you find the right property in Ossipee. Feel free to contact us for more information & to set up a showing. Register with us to save your favorite listings and get updates when similar properties are posted.